Royal Wheels India is an adventure travel group organising Bandipur National Park Tour Package in India. Bandipur National Park is a beautiful forest reserve located in the southern Indian state of Karnataka. This national park occupies a special place in India. s efforts towards natural conservation. It was created in the 1930s from the local Maharaja Voodiyar. s hunting lands, and named Venugopal Wildlife Park. Bandipur National Park was expanded later in 1941 to adjoin the Nagarhole National Park, which lay towards its northern edge, and Wynad and Madumulai Sanctuaries, which lay towards its southern edge in the states of Kerala and Tamilnadu, respectively. The entire area now constitutes the vast Nilgiri Biosphere Reserve, one of India's most extensive tracts of protected forest. 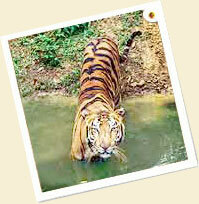 It has been a designated tiger reserve in 1973. Bandipur National Park lies in the Indian Deccan plateau area, thus being totally in the shadow of the Western Ghats. The region is well endowed in terms of vegetation and flora that ranges from deciduous and evergreen forest covers to open grassy woodlands. Valuable hardwoods including rosewood and teak are also found here. The lifeline of the forest is the Moyar River, which irrigates the area along with two minor rivulets. The river also acts as a boundary between the Park and the Madumulai Sanctuary. Bandipur National Park is one of the finest and most accessible habitats of the Asiatic elephant. Its vast open spaces make it a pleasant and convenient outing for visitors to see the elephant in its natural surroundings. 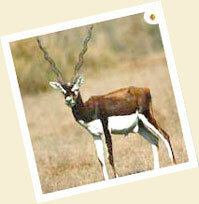 Nagarhole, Madumulai and Wynad National parks all lie in the vicinity of Bandipur National Park forest. A reservoir and a dam that separates Bandipur from Nagarhole reserve is an interesting place as well. All visitors to Bandipur have to get entry permits at the entrance to the park. These cost about Rs 150 (for foreigners) and considerably less for Indians. Additional charges are levied for cameras, vehicles, and elephant or jeep rides. The nearest railhead is Nanjangud, 55 km away, while the nearest roadhead is the town of Gundulpet, 20 km from Bandipur. Both are, however, fairly small places, with few transport connections to the rest of the state. A better idea, therefore, would be to arrive at Bandipur via Mysore or Ooty. Bandipur is 80 km from Mysore, and a similar distance from Ooty, and takes 2 ½ hours by road. Mysore is further connected to the rest of south India by train, while a narrow gauge train comes to Ooty from the plains station of Mettupalayam. Mettupalayam has train connections to a number of other towns in Tamilnadu. Once you've got to Mysore or Ooty, you can take a bus or hire a car or taxi to get to Bandipur. Private vehicles are not allowed to tour the park, so buses abound, rumbling and roaring their way around, drowning out any chance of seeing animals. Better options for getting around in the park are the forest department jeeps and vans. The Forest Department also organises elephant rides of about an hour (or more) each, which take you deeper into the forest than you'd otherwise be able to go. At Bandipur, you can book a machan near a watering hole for the best viewing of all. The best season depends on what you are looking for; if it's wildlife you seek then the hot months from March to May are when animals flock to the watering holes, and hopefully to the ones close to your machan (but be aware: droughts also push animals into Mudumalai); for cool comfort the months of November-February are great when the flora is resurging after the rains; the rainy months of June-September bring the elephants to the fore, bring the temperatures down and the metalled roads of Bandipur don't get washed out either. If you are really interested in the animals, you must avoid the weekends when hordes of visitors come down from nearby cities for the day. Accommodation options in Bandipur include Forest Resthouses and KSTDC (Karnataka State Tourism Development Corporation) cottages, besides a few private resorts and hotels. The forest resthouses here are deluxe bungalows and also have dormitory beds; both should be reserved in advance at the Forest Office in Bangalore or Mysore. Luxury resorts around Bandipur National Park are more expensive but offer many more luxuries; they also arrange their own elephant safaris and jeep rides. A double room at one of the resorts which will usually include meals, wildlife safaris, and fees for cameras, vehicles and entry.